Fake or fabricated news is a type of Yellow Journalism or propaganda that consists of misinformation spread via social media or news channel. It is written with a intent to mislead masses in order to damage someone’s image or take it to next level for their benefit. Fake news often has eye-catching headlines to lure audience, increase their readership and make money. Fake news creates chaos in our societies, as people put fake news in order to conspire against others. Many people are loosing their trust on media as sometimes news channels cover these news to increase their Ratings. It is misleading people and is getting hard day by day to separate fact from fiction. It is impacting the decisions of youth, letting them believe something which is not true. Political parties are taking advantage of fake news to manipulate voters. At times, fake news is followed by dangerous consequences. For example with the fake news of X community is harassing Y community, people of Y community may get enraged and may take revenge on X community. One example of fake news in India is about Rs.2000/- note. The wrong news went viral over Whatsapp and Social-media sites that the 2000 note came equipped with a chip that uses spying technology, which was even covered many mainstream media channels too. Indians and the ‘Indian National Anthem’ being adjudged the best by UNESCO is still trending on many Social sites, which is another fake news. Not just India, but the whole world facing problems with fake news. Under section 505(1)(b) of the Indian Panel Code (IPC), people can be arrested for posting fake news on internet. One can report Fake news to “Indian Broadcast Foundation” and “NBSA (News Broadcasting Standards Authority)”. If the news is defamatory then one can file a civil and criminal case for defamation. Facebook soon will be starting a column under which one can flag stories as fake and alert others. Extensions are there in chromes browser which automatically block suspicious fake sites. Google is working with their AI (Artificial Intelligence) which can be used to detect these fake sites and fake news. When we see any news through social media, we should not forward it blindly. Rather we should check the authenticity of the news before sharing it with others. The lack of uniform guidelines, regulation and policy regarding such fabricated content needs to be addressed urgently. 1. Checking a site’s “About Us” section. 2. Look for signs of low quality, such as words in all caps, headlines with glaring grammatical errors, bold claims with no sources. 3. Checking the source of news i.e. if it is from legitimate news outlet or not. 4. Checking on Wikipedia, and Google before trusting or sharing news. Strict action and penalties should be charged on the fake news creaters. 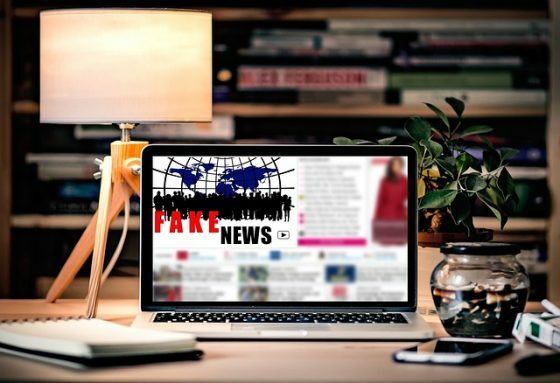 The publishers and distributes of these fake news and websites are aware that people would be blindly attracted toward catchy titles and images. It is our responsibility not to trust these popping news blindly and to use legitimate and authentic sources to read share news. Whenever we encounter a fake news website, we need to report it to cyber cells. Strong policies are needed to deal with fake news and to deter fake content creators. The work on Artificial Intelligence by Google and Facebook to weed out fake news can solve this problem to a large extent. Afterwords :- What are your thoughts on fake news? Express your views in the comment section below. Fake news is biggest problem not only for India but it’s also inflicting much pain to western culture too. With recent mob lynching incidents, caused by repeated circulation of the fake news on social media platforms, there were various innocent people killed. It’s the responsibility of social media platform that they should develop alternative mechanism to deal with these heinous incidents. True Durgesh! Social media platforms should take necessary action. Spreading wrong information is a foolish action. People loose their trust on media as sometime news channel too cover these news to increase their ratings. It is our responsibility not to trust these popping news blindly and to use legitimate and authentic sources to read news. Whenever we encounter a fake news website, we need to report it to cyber cells. Strict action and penalties should be charged on the fake news creators. Proper public awareness is need of the hour. That’s right. Public awareness can stop fake news from going viral.